Pentagon officials have lost sleep in recent weeks preparing for one contingency: what does the United States do in the event of a surprise Israeli strike on Iran's nuclear facilities? Israeli intelligence writer Ronen Bergman interviewed several senior Israeli intelligence and defense officials for his Sunday New York Times Magazine cover story asking about that very prospect: "Will Israel Attack Iran?" Bergman comes to the conclusion in his piece that yes, Israel will attack Iran this year. But the Israeli officials who publicly discuss the option in the piece, and who have made other recent public statements, also present the question: why are Israeli leaders suddenly so chatty on the topic? Doesn't that put at risk one key strategic advantage Israel has prized in the past, the element of surprise? Bergman spoke to Yahoo News by phone from Israel Sunday. The interview has been edited and condensed. Yahoo News: There's always been a theory that if Israel is going to strike Iran, it is going to be very quiet about it (as it was before the 1981 strike on Iraq's nuclear reactor and in the 2007 strikes on the alleged Syrian nuclear facility). By contrast, I was struck by Israeli Defense Minister Ehud Barak so conspicuously thinking out loud on such a sensitive question in recent public statements, including in your piece. What happened to earlier thinking in the administration of Israeli Prime Minister Benjamin Netanyahu that if Israel is serious about bombing Iran, it would not blab so much? Bergman: I have heard with some amusement the comments and follow ups and op-eds following the story, basically some of them suggesting Barak is using me and using the platform of the New York Times Magazine to send a message to the U.S. administration and to the White House. But it was not easy even to convince him to speak off-record about that. Yahoo News: But it's not just in your piece. Barak and Netanyahu have the past few months made several statements publicly signaling they are keeping their option open to strike Iran this year. The Pentagon interpreted Barak's request last month to take a planned U.S.-Israeli missile defense exercise off the calendar as one possible sign that Israel is keeping its options open to strike Iran in the spring, and thus wouldn't want 5,000 U.S. troops on the ground in Israel then. And top U.S. officials--the president, Defense Secretary Leon Panetta, Chairman of the Joint Chiefs of Staff Gen. Martin Dempsey--have asked Israel at least twice for assurances that it will not do so, or at least will not do so without giving the U.S. advance warning, and reportedly been refused. Bergman: Former Mossad chief Meir Dagan's public campaign against an Israeli strike on Iran has caused a public debate in Israel about this issue. 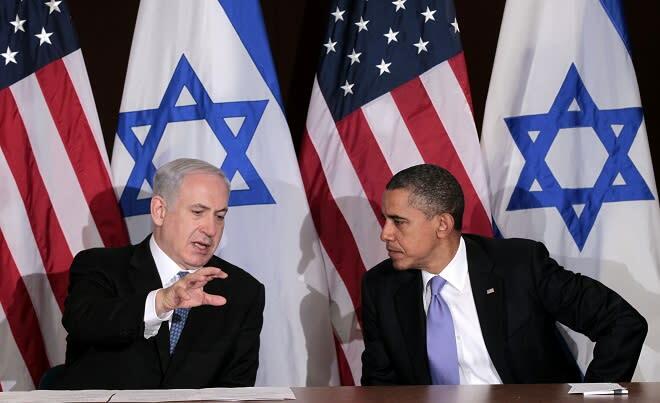 And you can see that he has put Barak and Netanayhu in a tight spot, in a certain sense. He is accusing them; that for popularity they are going to strike Iran. So they feel they need to explain their position. The second thing is that most of the Israeli statements are not meant for Israeli ears. There's an expression in Hebrew, 'Hold me back. So I won't hit him.' What Barak is doing with these statements—what Israel is now doing with the aerial drill—and other issues: they are trying to tell Europe—hold me back, you know, crazy Israel, because otherwise Israel will take the initiative. The problem with this sort of statement is that it is coming back to some extent to the Israeli public and it is creating fear in the population here. Bergman: For politicians, I cannot overrule political considerations. But for Netanyahu's and Barak's political coalition, I would be very hesitant to bet it is going to help them to win, because the day after [a possible Iran strike] is going to be [very] problematic, the world will be mad at Israel, and I am not sure the population is ready for war. Some people in Israeli intelligence and military planning are saying, "let's wait for President Obama to win re-election and once he has his next term in the White House, we cannot overrule [rule out] that he would order military action, because he promised that he will not allow Iran to [get nuclear weapons]. So if he did, he will be humiliated." A lot of people say, "do not underestimate the stubbornness of President Obama. He was there to take the decision and was courageous enough to take military action against Osama bin Laden--against the advice of some of his advisors."